After that interlude, the guys return to their life of clubs and other nonsense, very little of which actually includes work. Mike’s friend Rob (Ron Livingston) also recently came out to LA for his career, and he finds himself upset that he gets no better offers than to play Goofy at Disneyland. Sue (Patrick Van Horn) – a boy named after the Johnny Cash song – seems interested in little more than videogame hockey, and he comes across as a loose cannon with a violent temper. The comedic parts definitely work the best, though. Actually, the first act of Swingers offers a truly rollicking good time. 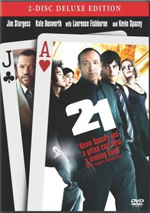 Before I originally watched the DVD in 2002, I thought the whole thing took place in Vegas and felt somewhat surprised to see that those sections only filled a short amount of time. My prior opinion probably stemmed from the greater amount of fame earned by the Vegas sequences; I heard more about them than anything else in Swingers. Swingers appears in an aspect ratio of approximately 1.85:1 on this Blu-ray Disc. Though generally attractive, the picture showed the limitations of the film’s low-budget origins. Sharpness tended to vary due to the source material. Some shots looked quite distinctive, while others were soft and iffy. However, most of the movie came across as reasonable accurate and distinct. Jagged edges and moiré effects created no concerns, and edge haloes remained absent. Grain tended to be prominent, but print flaws were insubstantial; I saw a speck or two but nothing more. Colors varied. The neon of the Vegas scenes looked bright and vibrant, and some daytime exteriors also showed vivid and lively tones. However, other scenes offered hues that could be somewhat messy. As with sharpness, this connected to the source photography and revealed its limitations. Black levels seemed acceptable, and shadows were in the same vein; some low-light shots appeared a bit thick, but they usually worked okay. Nothing here excelled, but given the film’s roots, I thought the Blu-ray represented the movie pretty well. I felt about the same in regard to the film’s DTS-HD MA 5.1 soundtrack. The soundfield offered a fairly modest affair. Music often demonstrated good stereo imaging, but the rest of the track tended to remain largely monaural. During some broader scenes, the effects spread well across the spectrum, but these stayed in the realm of general ambience most of the time. The surrounds also kicked in on occasion, such as during party scenes, but they didn’t add a lot to the package. The soundfield maintained a modest setting. We got some movement in terms of vehicles and not much else. Audio quality appeared acceptable. Speech came across as reasonably natural and distinct, and I encountered no problems related to intelligibility. Effects appeared clean and accurate; those elements showed fair to good fidelity. Music varied depending on the source, but most of the songs and score sounded fairly bright and lively. This was never a great track, but it suited the film pretty well. How did the picture and sound of this Blu-Ray compare with those of the last DVD from 2002? The audio seemed clearer and more vibrant, while the visuals demonstrated superior clarity and definition. The movie still suffered from its inherent limitations, but the Blu-ray gave us a much more satisfying presentation. 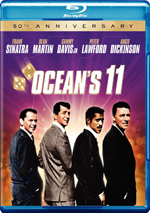 The Blu-ray features most of the DVD’s extras, and we find two audio commentaries. The first offers a chat with co-director/writer/actor Jon Favreau and actor Vince Vaughn, both of whom sit together for this running, screen-specific piece. For the most part it provides an engaging track. The long friendship between Favreau and Vaughn comes through, as they seem casual and comfortable with each other. They relate a number of production details as well as ways in which the movie mirrored their lives at the time. On occasion, the guys simply describe the action onscreen, and they also often slip into Farrelly mode; for those moments, they just tell us the names of various performers. Nonetheless, the actors track usually works pretty well. After this, we locate a commentary with director Doug Liman and editor Stephen Mirrione, both of whom also were recorded together for this running, screen-specific piece. Essentially a lesson in guerilla filmmaking, I think this track provides a stronger effort than the one with Vaughn and Favreau. I like the latter piece, but the production commentary seems more informative and compelling. We learn all sorts of details about the resources used to overcome the film’s extreme budgetary restrictions, and the overall effort seems lively and engaging. Next we move to Making It In Hollywood, a collection of four separate featurettes: “Art Imitates Life: Writing the Story”, “Life Creates Art: Getting Swingers Made”; “Life Imitates Art: Swingers Culture”, and “Art Creates Life: Life After Swingers”. These programs last a total of 49 minutes, 19 seconds. In addition to movie clips, outtakes, and production stills, we get new interviews with Jon Favreau, Doug Limon, Vince Vaughn, Steve Mirrione, actors Ron Livingston and Brooke Langton, line producer Nicole LaLoggia, producer Victor Simkins, Derby owner Tony Gower, Dresden Rooms owner Carl Ferari, and performers Marty and Elayne. Inside The Cutting Room Floor, we get five additional takes that run a total of 13 minutes and 56 seconds of footage. Essentially the clips offer extended and alternate versions of material that ended up in the movie. For instance, during the Vegas trailer sequence, Trent talks about one of his TV jobs. This material seems decent but it doesn’t present anything special. For something unusual, check out Swing Blade, a short parody. It combines aspects of Swingers with the lead character from Sling Blade for this three-minute, 26-second spoof. The concept seems funnier than the execution, but it appears moderately entertaining. 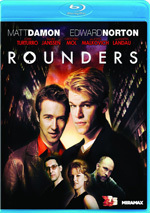 The disc opens with promos for Rounders, Hostage, Good Will Hunting and Warrior. These appear under Also From Lionsgate as well; no trailer for Swingers shows up, though. Already established as a cult classic, I thought Swingers didn’t quite match up with my expectations. However, it offered a generally amusing and intriguing experience that will probably hold up well to additional viewings. The Blu-ray presented acceptably good picture and sound along with a nice roster of supplements. This became the best release of the film to date.